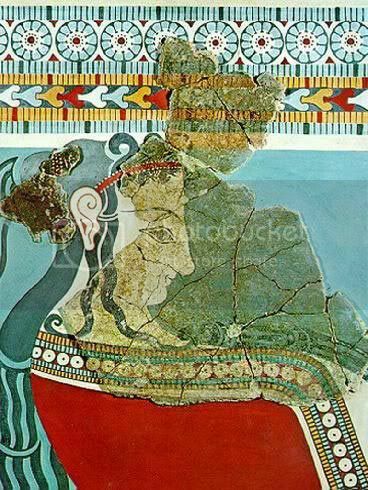 Arch Hades: Ancient Greek art - The Mycenaeans. 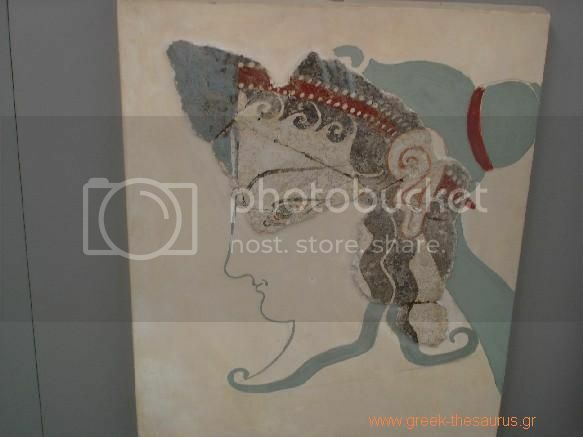 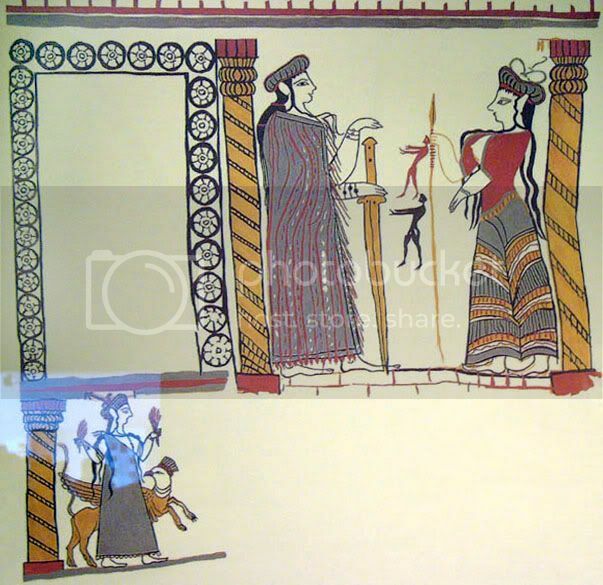 Ancient Greek art - The Mycenaeans. 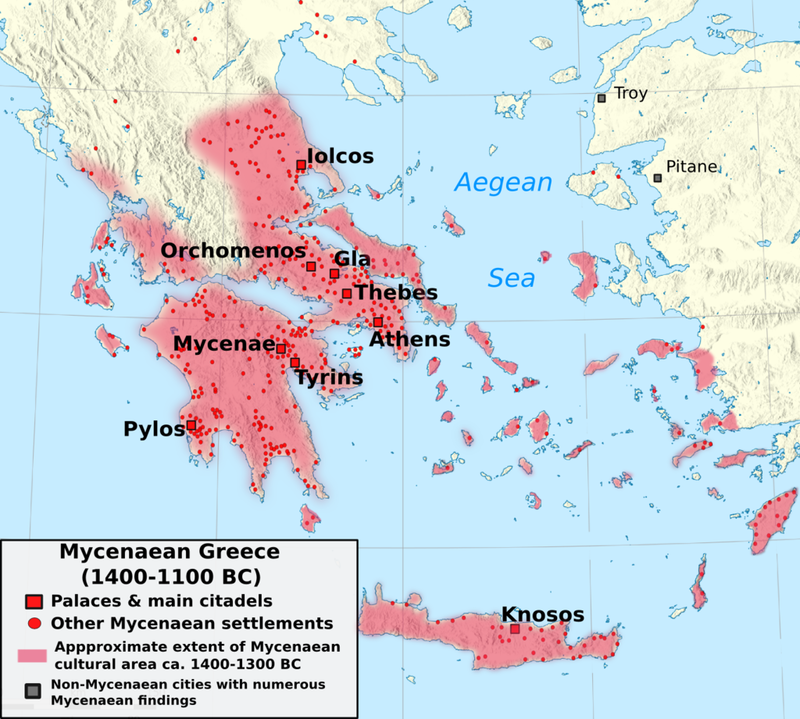 I'm going to be making some upcoming blog posts on ancient Greek art, and I'd figure I'd start with the earliest known Greeks, the Mycenaeans [1600-1100 BC]. 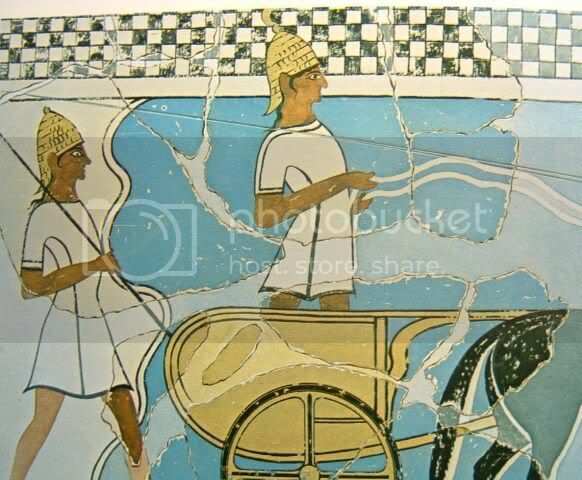 Two Mycenaean female charioteers from Pylos. 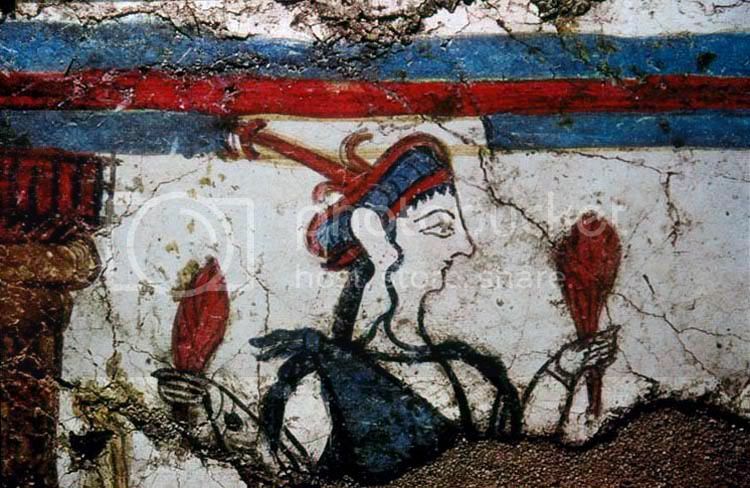 Mycenaean women shown in a fresco from Thebes. 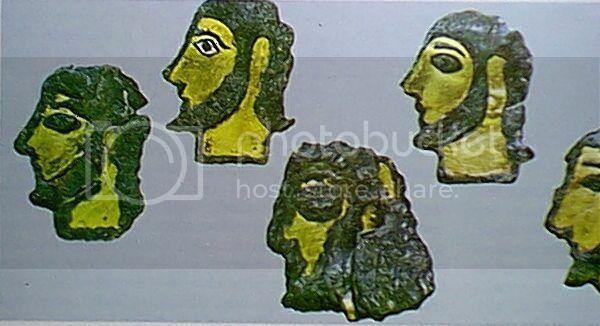 Head artwork from Greek Mycenaean swords. 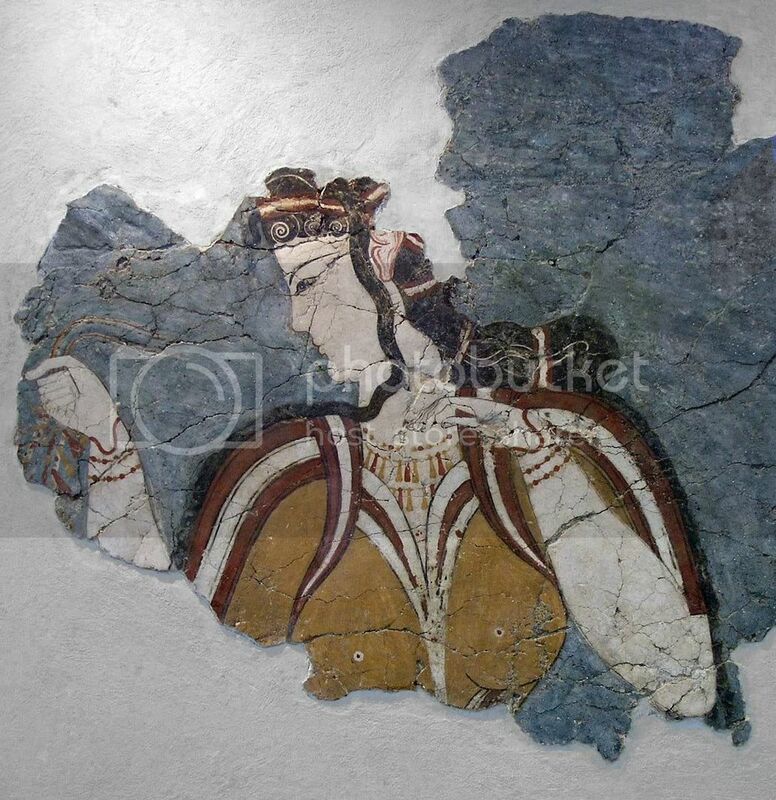 Mycenaean Greek woman from fresco. 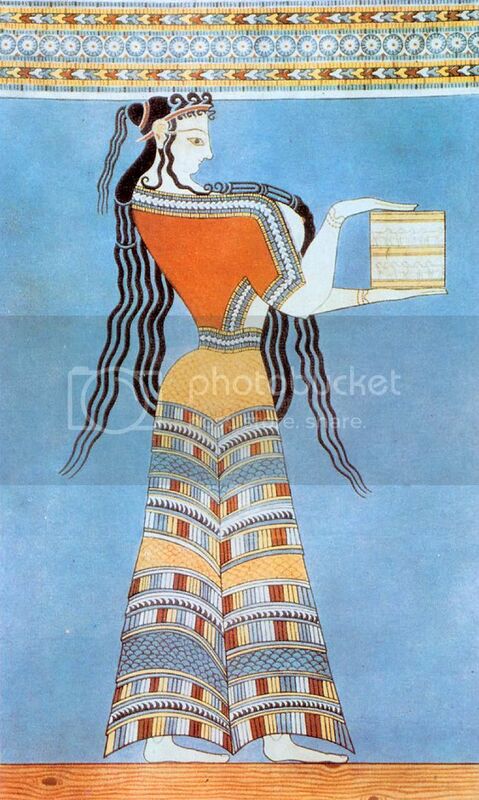 Mycenaean Greek woman brings offerings. 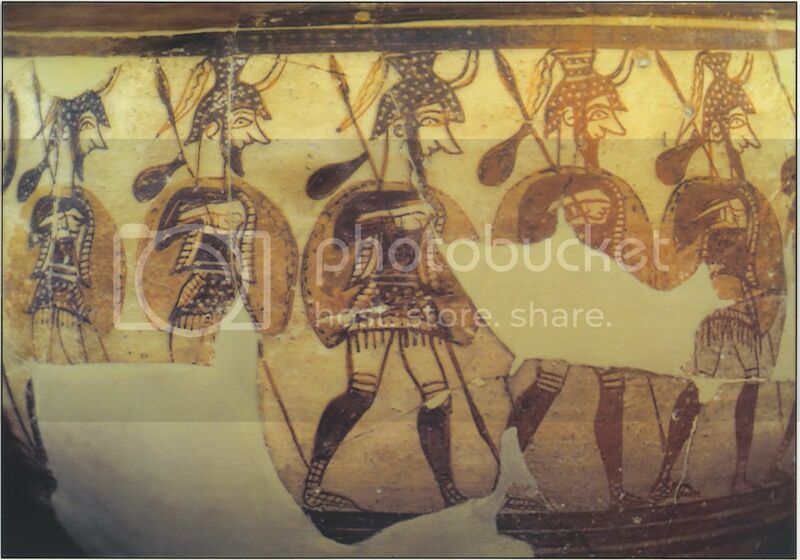 Greek soldiers on Mycenaean mural. 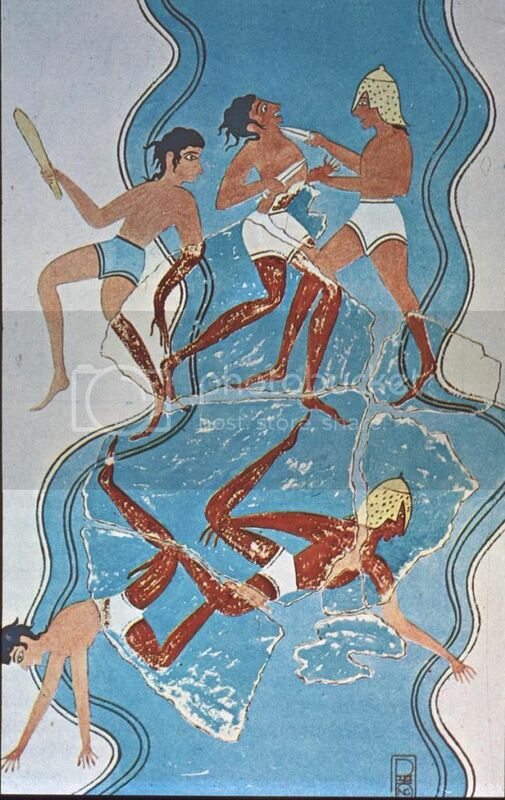 It is so clear from these frescos that Mycenaean Art was heavily influenced by Minoan Art, which was in turn heavily influenced by Dynastic Egypt Art. 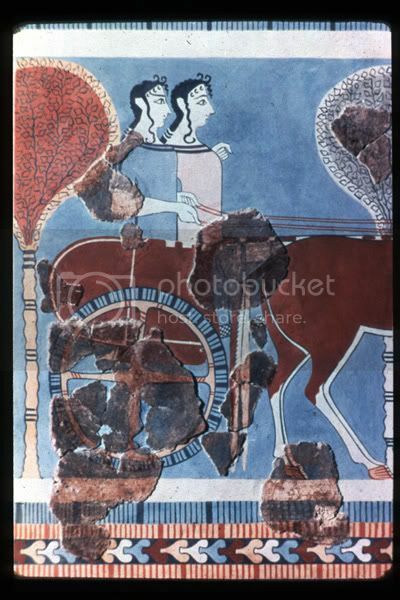 The Minoan art seems much more female-centric, more so than either the Egyptian or Mycenaean examples.